French president Emmanuel Macron tried on Tuesday (17 April) to woo MEPs by presenting himself as a herald of European liberal democracy and inspirer of the EU's "renaissance". But he found that his quest for leadership will have to put up with the rules set by the European political groups. "Macron arrived in European reality," noted Manfred Weber, the leader the centre-right EPP group, the largest in the parliament. 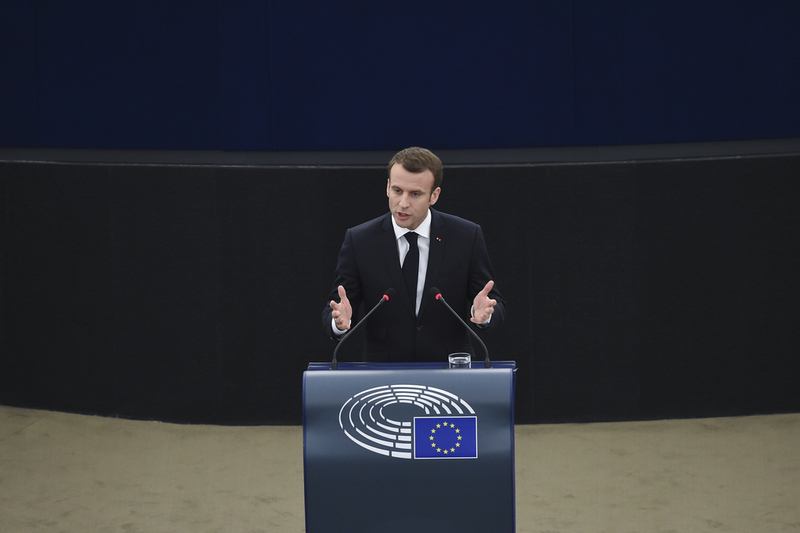 In a three-hour debate, which was at times tough and passionate, in the European Parliament in Strasbourg, Macron called for action to stop anti-EU forces ahead of next year's European elections. His Republic on the Move party, which was created only last year, has no MEP, and Macron aims at strengthening his political influence by forming a group in the next parliament. Macron, who came to power by defeating the far-left and anti-EU Marine Le Pen, insisted on the threat posed to Europe by the rise of illiberal democracy. 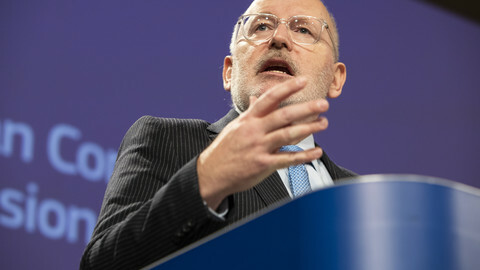 "We cannot do as if our discussions were ordinary," he told MEPs, warning against "a from of European civil war" where "differences and national egoisms seem to be more important that what unites us." He insisted that the political model proposed by politicians like Hungarian prime minister Viktor Orban was a "deadly illusion". 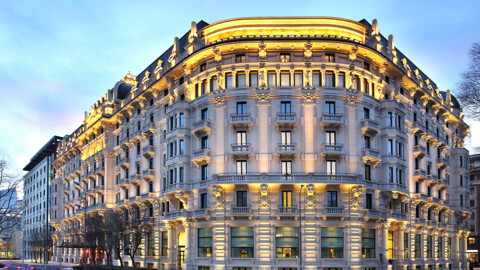 "The worst mistake would be to abandon our model, I dare to say our identity," he said. "In the face of authoritarianism that is everywhere around us, the answer is not the authoritarian democracy, but the authority of democracy," he argued, getting a loud round of applause. 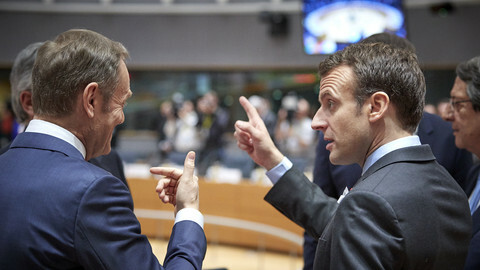 But while he insisted on the need to solve the migration crisis, to establish a European sovereignty and to ensure "stability and convergence in the eurozone," Macron got lukewarm comments from some top MEPs. "It is not enough to walk red carpets and sing the [European] anthem. 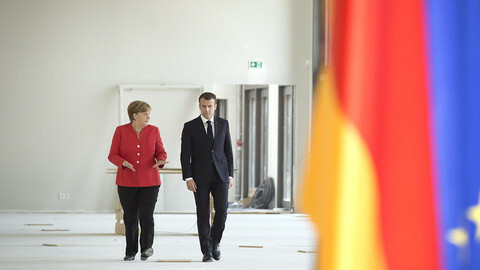 We have to let our dream become reality," the head of the centre left S&D group Udo Bullmann told Macron. Weber warned him that "true democracy is not only listening to people, democracy is letting people decide." 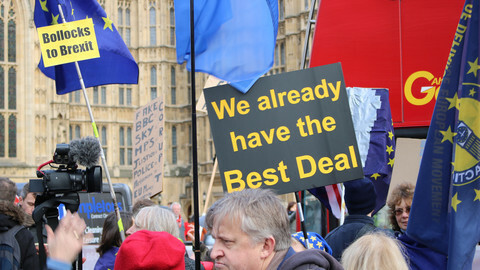 Only the liberal Guy Verhofstadt gave his full backing, calling on him to show more "audacity". "Don't hesitate; don't abdicate. 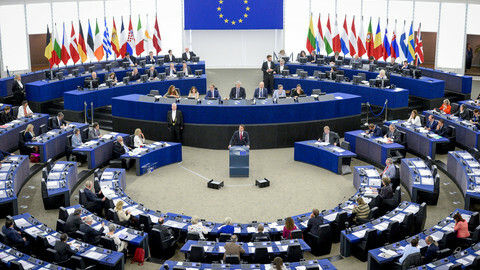 In the new European Parliament, many more people will support you," he said. The French president however got a standing ovation, and many MEPs lined up to shake his hands at the end of the debate. "MEPs discovered a guy who is young, strong and is able to help Europe make the qualitative leap it needs," French centre-right MEP Alain Lamassoure told EUobserver. "It's good that he took three hours to discuss with them. He needs time to let his ideas mature in the parliament," noted a top politician who attended the debate. But while Macron would like to disrupt EU politics as he did in France and reshuffle the groups in the parliament, he can only expect to try to form a group that would be big enough to be influential, and find alliances with other, bigger groups, parliament insiders say. 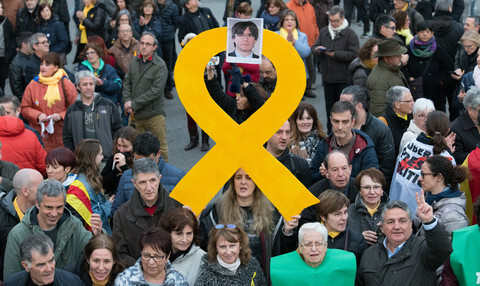 Sources in different groups told this website that a possible scenario would be that Macron's LRM teams up with Spain's Ciudadanos party and tries to integrate MEPs from other countries, including some from the S&D, and especially from Italy.. But the French leader would likely have to adapt his plans to the main groups' agendas. "If you want to join us, you'll find friends in our groups," S&D's Bullmann told him. "But that will have to be within our common, concrete policies." 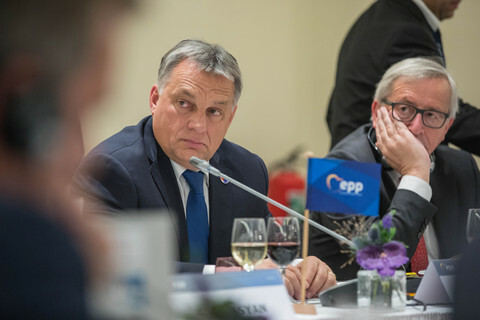 And while Macron said that the reform of the eurozone was "necessary" before the elections, the EPP's Weber insisted that "euro reform is not the priority". "It's obvious that migration is the top issue," he said. "It's a waste of energy if we speak too much about economy."